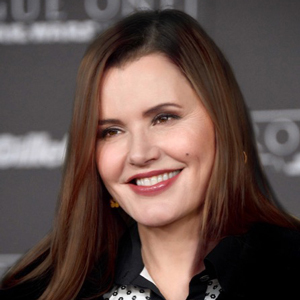 Following on research which examined gender representation in ads from 2006 to 2016, Walter Thompson and the Geena Davis Institute look at 2017… Only to find no difference. EMBARGOED – New York, NY, September 25, 2017, 2:15PM – An extension of the Unpacking Gender Bias in Advertising research from the Geena Davis Institute on Gender in Media at Mount Saint Mary’s University and J. Walter Thompson New York shows no statistically significant difference between 2006 and 2017 when it comes to gender representation in ads. Humor: in 2017, men are 2.6 x more likely to be funny than female characters – vs. 2 x more likely in 2006/2016. Work: in 2017, male characters are twice likely to have a job: 1 in 5 women is shown with an occupation compared to 2 in 5 men – vs. 1 in 4 women and 1 in 3 men in 2006/2016. Intelligence: in 2017, men are 89% more likely to be shown as smart – vs. 62% in 2006/2016 (evaluating characters for whom intelligence is integral e.g. a doctor, a scientist). The only gender gap decrease in 2017 was seen in the Objectification, with female characters shown in sexually revealing clothing only 5 x more than male characters – vs. 6x more in 2006/2016. However, the number of female characters shown in sexually revealing clothing remained the same, 1 in 10. The original research was presented at Cannes Lions Creativity Festival earlier this year. It examined Film and Film Craft winners and shortlists from 2006 to 2016, analyzed more than 2,000 films from Cannes Lions archive (English language only). It was published as part of a trend report by JWT Intelligence that frames findings in the wider context of what is happening with women and media. The research uses the GD-IQ, an Automated Analysis Tool, funded by Google.org, and leveraging technologies from Google and the University of Southern California. It was conducted by Dr. Shri Narayanan, Krishna Somadepalli and the team of Engineers at the University of Southern California’s Signal Analysis and Interpretation Laboratory (SAIL), in collaboration with Dr. Caroline Heldman and the team of researchers at the Geena Davis Institute on Gender in Media. Founded by Academy Award®-winning actor Geena Davis, the Geena Davis Institute on Gender in Media at Mount Saint Mary’s University is the only research-based organization working with media and entertainment companies with cutting-edge research, education and advocacy programs to dramatically improve how girls and women are reflected in media targeting children 11 and under. Walter Thompson New York is the headquarters of J. Walter Thompson Worldwide. We were ranked #5 Cyber agency in the world and #6 agency overall in NYC by the Cannes Lions Global Creativity Report. We are a culturally-connected agency and we believe that the advertising industry has a big role to play in building culture. We are proud to service some of the world’s most iconic global and local brands like Energizer, Johnson & Johnson, Kimberly-Clark, Wild Turkey, Nestlé, T. Rowe Price and Schick, among others. The Signal Analysis and Interpretation Laboratory (SAIL) resides at the USC Viterbi School of Engineering. It was established in November 2000 by Professor Shrikanth Narayanan, who is also the Lab’s current director. SAIL conducts fundamental and applied research in human-centered information processing. SAIL’s award-winning research applications and systems development especially focus on domains with direct societal relevance including in human health and well-being, education, media, arts, and security. Studies have included developing tools for autism diagnosis and intervention, the training of therapists, as well as media analysis and technologies in support of national defense and security. Research is supported by the NSF, NIH, DARPA, IARPA, Army, ONR, and grants from foundations and industry. SAIL supports a collaborative interdisciplinary environment and bridges research from several disciplines and partners both within and outside USC. Google.org, the philanthropic arm of Google, supports nonprofits that innovate to address humanitarian issues. Google.org was created to pursue, experiment with, and build upon ideas to improve the world, and continues to take an iterative approach to philanthropy today. Google.org develops and invests in pursuits that can have measurable impact on local, regional and global issues, and rallies Google’s people in support of these efforts with a singular goal of creating a better world, faster.